Beginning in the eleventh century, a long series of invasions, migrations, conversions, deportations, and massacres reduced Armenians to a minority population in their historic homeland on the Armenian Plateau. Under these conditions, a large-scale Armenian diaspora of merchants, clerics, and intellectuals reached cities in Russia, Poland, Western Europe, and India. Most Armenians remaining in historical Armenia under the Ottoman Empire in the fifteenth century survived as peasant farmers in eastern Anatolia, but others resettled in Constantinople, Smyrna, and other cities in the empire. There they became artisans, moneylenders, and traders. In the nineteenth century, the political uncertainties that beset the Ottoman Empire prompted further insecurity in the Armenian population. Finally, the Young Turk government either massacred or forcibly removed the vast majority of Armenians from the eastern Anatolian provinces during the Armenian Genocide. Today about half the world's Armenians live outside Armenia. Armenian communities have emerged in the Middle East, Russia, Poland, Western Europe, India, and North America, where Armenians have gained a reputation for their skill in crafts and in business. Although accurate statistics are not available, the Armenian diaspora is about equally divided between the 1.5 million Armenians in the other republics of the former Soviet Union and a similar number in the rest of the world. The postcommunist Republic of Armenia has officially defined the Armenian nation to include the far-flung diaspora, a policy in accord with the feelings of many diaspora Armenians. A common theme in Armenian discourse is the need to preserve the culture and heritage of the Armenian people through education and mobilization of younger members of the community. In this task, the Republic of Armenia enjoys the enthusiastic support of the international Armenian community, which sees a new opportunity to impart information to the rest of the world about Armenian culture--and especially to rectify perceived inattention to the tragedy of 1915. 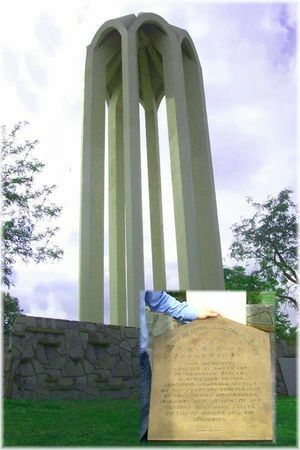 The Armenian diaspora maintains its coherence through the church, political parties (despite their mutual hostilities), charitable organizations, and a network of newspapers published in Armenian and other languages. Armenian emigres in the United States have endowed eight university professorships in Armenian studies. With the reemergence of an independent Armenia, diaspora Armenians have established industries, a technical university, exchange programs, and medical clinics in Armenia. Several prominent diaspora Armenians have served in the Armenian Government. In 2008, Armenia created a Diaspora Ministry to strengthen ties with the Armenian Diaspora. This page was last edited on 9 May 2010, at 14:40.